There are few things worse than being in a car accident – except returning to your parked car to find that someone has hit it and left without making themselves known. In Missouri, it is illegal to hit another car and leave the scene of the accident. There are various different ways that you can be involved in a hit and run. They can range anywhere from hitting someone and driving away to backing into a parked car. There are few things worse than being in a car accident – except returning to your parked car to find that someone has hit it and left without making themselves known. If your car has been hit, then you do have recourse to get your damages paid. The first step to take is to call law enforcement and ask that they file a police report about the incident. They might also be able to interview witnesses, and in some instances, depending on where the accident happened, request that security cameras be examined for the day of the accident to find out if it was recorded. If there is no note on the car and you file a police report, you will want to call your insurance company immediately to make a claim. Since you are not at fault, your car will likely only be covered if you have collision insurance. Collision insurance is coverage that helps to pay for your car if you are at fault for an accident. If you have collision insurance, then in most cases the insurance company will pay for your damages. If your insurance company does not pay for the damages to your car, but you can find the driver responsible, you can initiate a civil suit against the other driver. Since that other driver committed a crime, they can be held liable in a court of law if it can be proved that they were the one who hit your car. What Types of Damages Are You Entitled to for a Hit and Run Accident? If you are the victim of a hit and run, then you may be able to sue the defendant for economic, non economic, and punitive damages. Economic damages would only apply if you were in the car, and were injured when the car was hit. If your car was parked and was hit, however, then you are still entitled to damages like the cost of repairs, non economic damages like emotional distress and punitive damages. If you are in a hit and run accident in Missouri and sustain injuries and damages, it is a good idea to get in touch with a St. Louis car accident attorney to settle the suit. However, if your car is hit and you can find the person who was responsible, then you may still be able to gain compensation if your insurance won’t cover the damage, by suing the other party in civil court. The best place to start is to contact a St. Louis car accident attorney to determine your next steps. Missouri Hit and Run Car Accident – Is Obtaining Compensation Hopeless? It is especially frustrating when a driver causes a car crash and then cowardly leaves the scene of the accident. It is not unusual for a car accident claim to become complicated. When a car accident forces your vehicle off of the road or if you were forced off of the road by another car, it may be difficult to prove to the insurance company that you were not in the wrong. 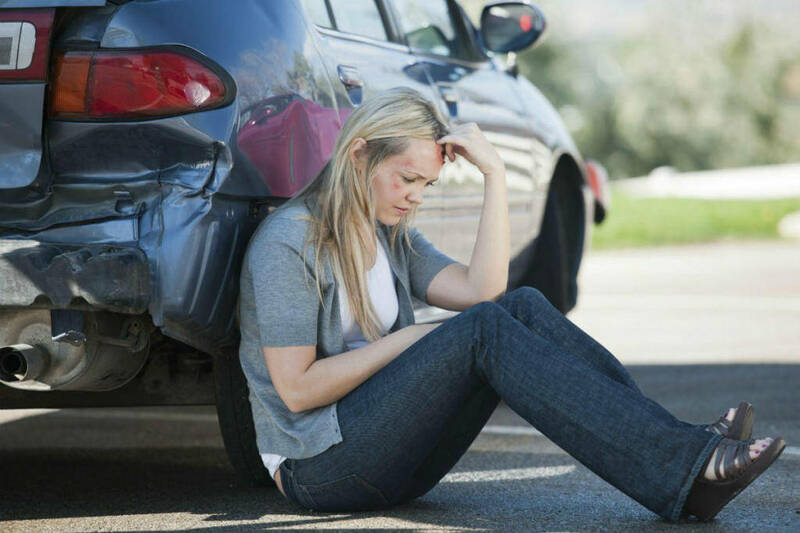 A St. Louis car accident attorney may be your only recourse in collecting the damages that the accident has caused you. Having another vehicle cause a crash and then cowardly leave the scene of the accident is especially frustrating as you will now have no other option but to file the claim with your own insurance. Always report the incident to the police and try to give as many details about the other vehicle as you can. There are two types of scenarios to being run off of the road. • The first scenario is a hit and run car accident, when another vehicle has made physical contact with your vehicle and then taken off. There may be witnesses who can make a report to the police to help prove your claim. Unless the driver is found, you will be forced to file the claim with your own insurance company. • The second scenario is what police refer to as a phantom driver. A phantom driver is a vehicle whose maneuvers on the road cause an accident, but there is no contact. For example, a driver who enters a lane directly in front of you causes you to swerve to avoid a collision. It may be difficult to convince your insurance company that an accident where you drove off of the road was not your fault. You will still file a claim and be reimbursed for your medical bills and damages to the vehicle, but it will be an at-fault claim. How much of your damages is going to be covered by the insurance will depend on the extent of your insurance policy. If you are facing this type of scenario, the best way to ensure that you are compensated fully by your insurance company is with the assistance of a St. Louis car accident attorney. Call The Hoffmann Law Firm, L.L.C. at (314) 361-4242. We will help you file the claim and receive the full damages you may be entitled to. A hit and run car accident is one of the most frustrating types of car crashes a driver can be involved in. Hit and run drivers often leave their victims hurt at the scene of the accident, with no means to pay for the medical attention they are going to need. A St. Louis car accident attorney can assist you in recovering any out of pocket money you may have spent after being struck by this type of cowardly driver. Bring your medical records and insurance information to an attorney today to find you if you are entitled to be compensated for those injuries. A hit and run car accident is defined as one where a driver causes injury to person or property of another and then flees the scene. The law in Missouri states that any person involved in any form of car accident must provide his name, address and drivers license number to the other party or a law enforcement officer. Far too often though, this law is ignored by drivers who are trying to avoid prosecution for drunk driving or even for driving not licensed or are uninsured. When you are involved in a hit and run accident, you will often need to seek compensation from your own automobile insurance policy. A hit and run accident generally falls under the same category as uninsured driver insurance. This is a portion of your insurance policy protecting you from exactly this type of circumstance. Even though it is your own insurance company that you have been paying premiums to for years, don’t expect that they are just going to hand the money over. Most of the time you will need the expertise of a car accident lawyer to persuade an insurance company to fork over your rightful compensation. For example, in a hit and run case that made it all the way to the Missouri court of appeals, a driver who had suffered massive head and orthopedic injuries had been told by her insurance company that the case was only worth $500,000. While the initial jury agreed, the appeals court sided with the victim and awarded her $1.75 million. Don’t expect the insurance company to just take you at your word either. Most will demand proof that there was another car involved, and that you didn’t just hit a mailbox or some other fixed object. If at all possible try and gather as much information at the scene of the accident to avoid that from happening to you. The best evidence you can present is eyewitnesses, so try and get the names and numbers of as many as you can. Pictures will also help show how the accident happened. It is also imperative that you call the police. An insurance company will generally scoff at a hit and run claim that is not accompanied by a police report. While being the victim of a hit and run car accident is a terrible feeling, don’t despair and think that you have no hope in recovering your damages. A qualified St. Louis car accident attorney will be able to help you fight your insurance company to get you the compensation that your monthly premiums entitle you to. If you have been involved in a Missouri auto accident contact our law firm by calling (314) 361-4242 or contact us online to see if you have a valid claim for compensation.